I know that Spring is traditionally the season for cleaning, but I like to do a big cleanout and declutter before Christmas each year. I like to use it as an excuse to clear out items we no longer use or need (kid’s toys I’m looking at you!) as well as taking the time to go though and replenish essential items that we use all the time. 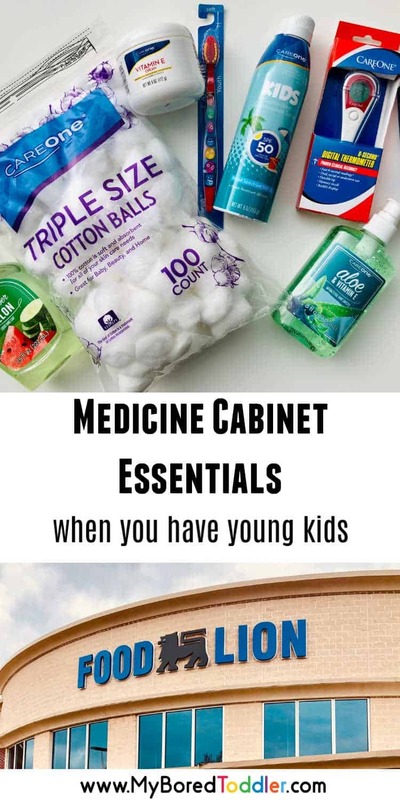 One of my pet hates is our medicine cabinet. In fact it’s not even a cabinet – it’s a messy drawer that’s full of random items. Half packets (even empty packets) of band aids and creams. Out of date medicines, random hair ties and so much more! Today I’ve cleared out our medicine drawer. 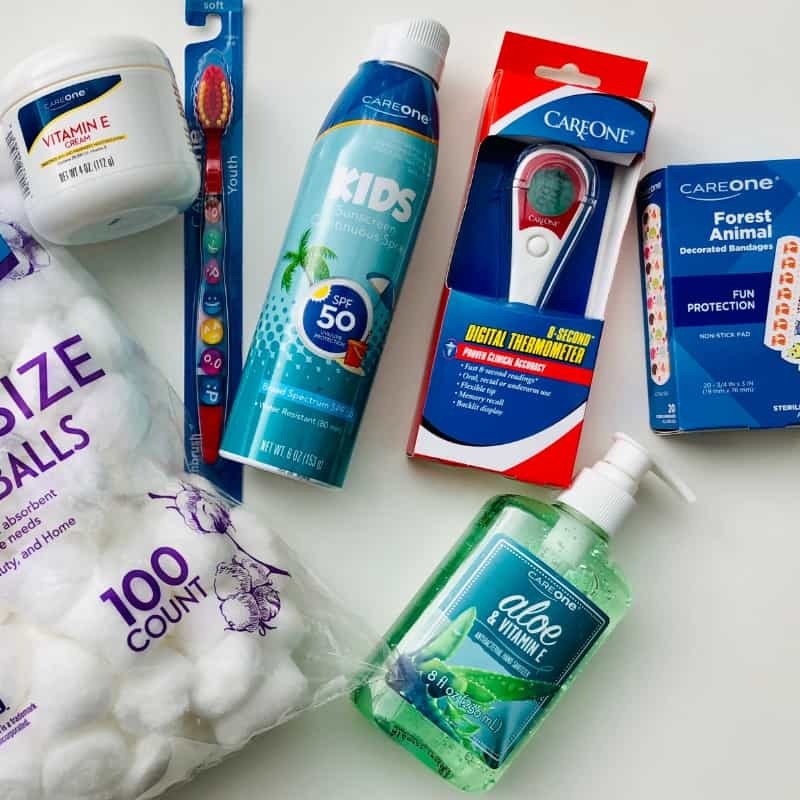 We’ve thrown out out-of date items and items that we know we’ll never use and restocked with some of the essentials that are always great to have on hand. 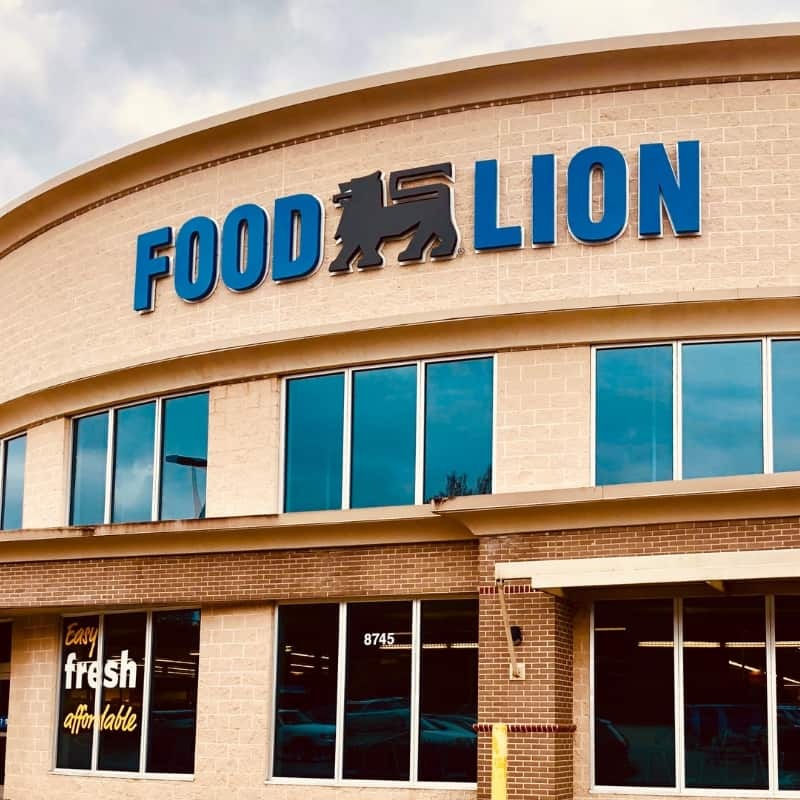 We visited Food Lion and stocked up on their CareOne healthcare products that we like to keep at home. 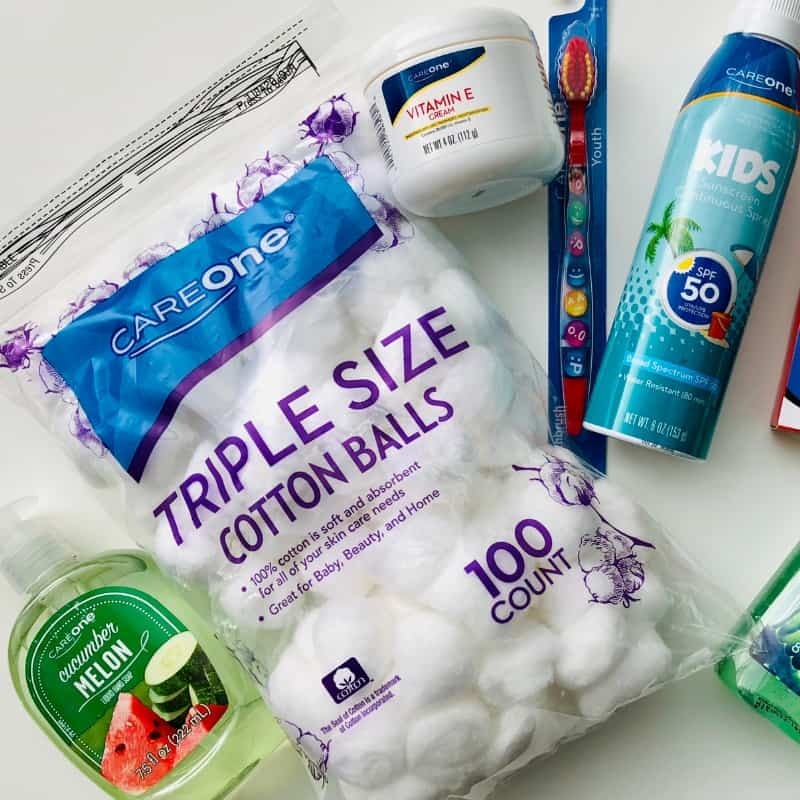 I love that the CareOne brand is always at a lower price than some of the larger national brands, with the same quality you would expect from the more expensive brands. Hand wash and sanitizer – we go through so much of this and I feel that everyone with kids needs a good supply of sanitizer! Digital thermometer – you always need one of these late at night and there’s nothing worse than not being able to find them. Vitamin E Cream – My children have eczema and vitamin E cream is one of the few items they can always use. Spare Toothbrushes – I like to keep a few spare ones just in case. If we travel we’ll often grab one of our spares to take with us. What essentials do you have in your medicine cabinet? « How to get your toddler to eat healthy when you’re BUSY!